​The Iowa Hawkeyes hang on! Entering the second half down 41-35 to the Northwestern Wildcats and down 15 with 4:30 to go in the game, the Hawkeyes caught on fire and used the momentum to their advantage. Northwestern was leading 79-77 with three seconds remaining, and Iowa had no choice but to take a quick shot. 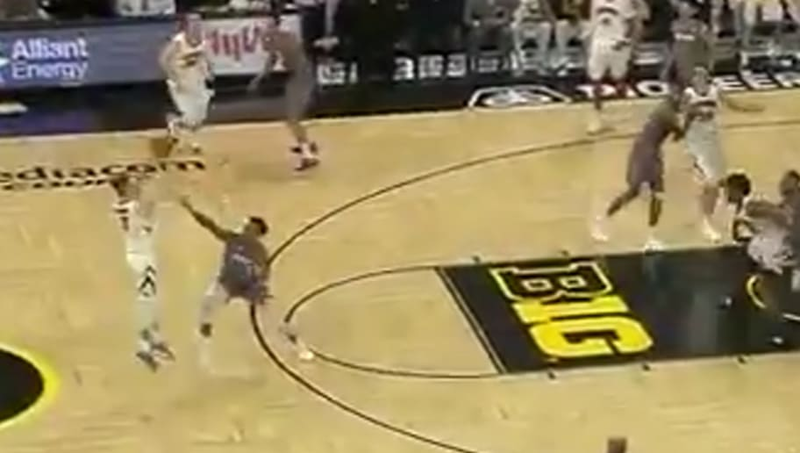 ​Jordan Bohannon would bounce off a defender to give himself a clean three-point attempt, and it hit nothing but net to give the Hawkeyes the 80-79 win. UNREAL!! Another thrilling ending in the college basketball world on Sunday. Northwestern led the Hawkeyes big late in the game, but Iowa stayed strong, played tight defense, and went on a 23-7 run to rally and avoid the upset. Bohannon would finish the night with a 15-point, three-assist and one steal stat line. All of his 15 points were scored in the final 5:28 of the game. But you can't forget about freshman guard Joe Wieskamp, who dropped 21 points on the night. That's what we call a comeback. Get ready, folks. March is right around the corner!